Specialises in the provision of wealth creation, wealth protection and finance services. To provide our clients with the highest quality financial advice tailored to their unique circumstances. We do this this by working in partnership and educating our clients to ensure they have peace of mind and financial freedom. Catherine has worked in the Financial Planning Industry since 2003. She holds a Bachelor of Commerce (Economics & Finance) and completed her Certified Financial Planner (CFP) designation in 2008. She also holds specialist accreditations in both Estate Planning and Aged Care. 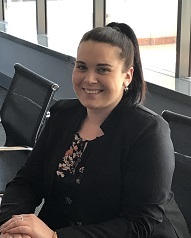 She is a member of the Financial Planning Association (FPA), the Mortgage and Finance Association (MFAA) and is an Authorised Representative of Count Financial. Catherine was the winner of Count’s Female Excellence in Advice award in 2013 and a finalist in the Money Management Women in Financial Services Award. She is also the current Chair of Count’s Women in Advice Committee. 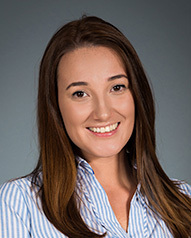 Catherine strongly believes in educating the community on financial fundamentals. She has conducted seminars on many different topics and had several articles published in Money Magazine. 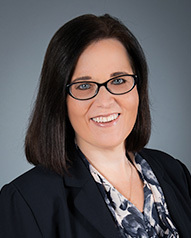 Catherine’s role is about providing her clients with sound strategic financial solutions. Her area of expertise is not only the technical advice that she provides her clients but the long term relationships she forms with them. 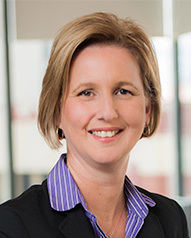 Rachael is an Accountant and Financial Planner and has worked in the industry since 1989. She holds a Diploma in Accounting, is an Affiliate of the Institute of Chartered Accountants, a Chartered Tax Advisor, a Self-Managed Super Fund Specialist and is an Authorised Representative of Count Financial Limited. Rachael’s role is about providing her clients with financial solutions, both from a strategic, tax and investment advice perspective. Her area of expertise is in strategy and planning for her client’s financial journey. 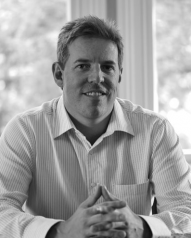 Ian was the founding partner of IACR Partners Pty Ltd Chartered Accountants. He has been in the Accounting profession for almost 40 years. He is a Fellow of the Institute of Chartered Accountants, a Chartered Tax Advisor, Registered Company Auditor and Authorised Representative of Count Financial. He is passionate about giving back to the community which can be seen through his current involvement as Treasurer of Hills Grammar School and previous involvement as Board member and Treasurer of Ryde Business Forum, Board Member & Finance Committee member of Scots School and a member of the Finance and Forward Planning Committee of PLC. Gerry has worked as a Chartered Accountant and Financial Planner for over 20 years. He holds a Bachelor of Commerce and is a member of both the Institute of Chartered Accountants and the Taxation Institute of Australia. He holds a Specialist Financial Planner designation through the Institute and has been a member and Authorised Representative of Count Financial since early 1980. He is a founding partner of Arnold Stevens Finlay, established almost 20 years ago and now Vue Financial, the result of a recent merge between Arnold Stevens Finlay and IACR Partners Financial Planning divisions. 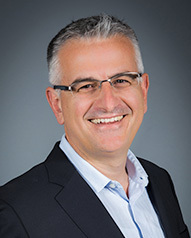 Gerry’s area of expertise is his ability to see the client’s big picture and as a result provide them with Real Solutions for all facets of their financial well-being. 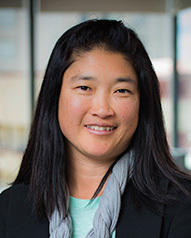 Thao has worked in the financial planning industry since 2010. She holds a Bachelor of Business (Applied Finance) and has completed her Diploma and Advanced Diploma’s in Financial Planning. She is an associate member of the Financial Planning Association (FPA) and is an Authorised Representative of Count Financial. 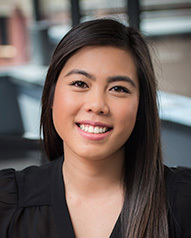 Thao’s primary role is to provide exceptional ongoing support to our clients and ensuring whilst helping to achieve their goals and objectives, their financial planning experience is a comfortable one. Jeffrey has worked in the financial services industry for the past 12 years, firstly in Hong Kong and then in Australia. He has been with Vue Financial since March 2018. 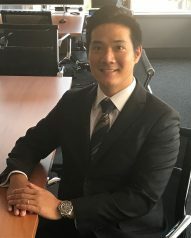 He holds a Bachelor of Commerce (Economic & Finance) obtained in Melbourne, Diploma in Financial Planning and is currently completing his Advanced Diploma in Financial Planning. Jeffrey has also completed his Chartered Financial Analyst (CFA) in 2015 and his expertise is very much around investment strategies and portfolio management. He is a member of the Chartered Financial Analyst (CFA), an Associate member of the Financial Planning Association (FPA) and is an Authorised Representative of Count Financial. Jeffrey strongly believes in fundamental investment strategies. His goal is to provide guidance to his clients to ensure they are in a position to experience a comfortable financial journey. He works hard to ensure that his clients understand their willingness and ability to take the right risks in order to invest their portfolios to achieve their financial success. Gavin has worked in the financial services industry since 1998, and has been a Financial Planner within the Count group since 2002, joining Vue from another Count firm in 2016. 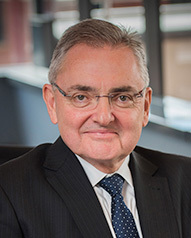 He is a member of the Financial Planning Association of Australia and holds a Diploma of Financial Planning, and an honours degree from the University of Leicester in the UK. He is passionate about providing financial advice and coaching to his clients and in 2013 was nominated for the Association of Financial Advisers ‘Adviser of the Year’ award. This was due to his work providing advice to oncology families via a local charity supporting families at the Children’s Hospital at Westmead. He is also heavily involved in the community and sits on the Count Charitable Foundation’s Advisory Committee as the NSW & ACT representative. He has been named in the Financial Standard’s ‘The 50 Most Influential Social Media users in Finance’ for both 2014 & 2015. His goal is to help people understand and manage their cashflow and to make smart money choices so they can feel confident in their financial future. Jackie started her career in financial planning in 2013 as a Client Service Officer. Since then she has completed the Diploma of Financial Planning and has become a Justice of the Peace. She has a keen interest in continuing her education and gaining further valuable experience in the industry. Jackie strives to provide quality service to both her clients and the Vue Financial team.